The location of this unique site in Central America, where Quaternary glaciers have left their mark, has allowed the fauna and flora of North and South America to interbreed. 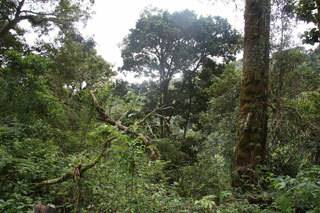 Tropical rainforests cover most of the area. Four different Indian tribes inhabit this property, which benefits from close co-operation between Costa Rica and Panama. This article uses material from UNESCO World Heritage List article "La Amistad National Park", which is released under the Creative Commons Attribution-Share-Alike 3.0 IGO License.